Eliminate operational blind spots with native support for AWS apps, services, modern architectures and integration with your favorite tools. 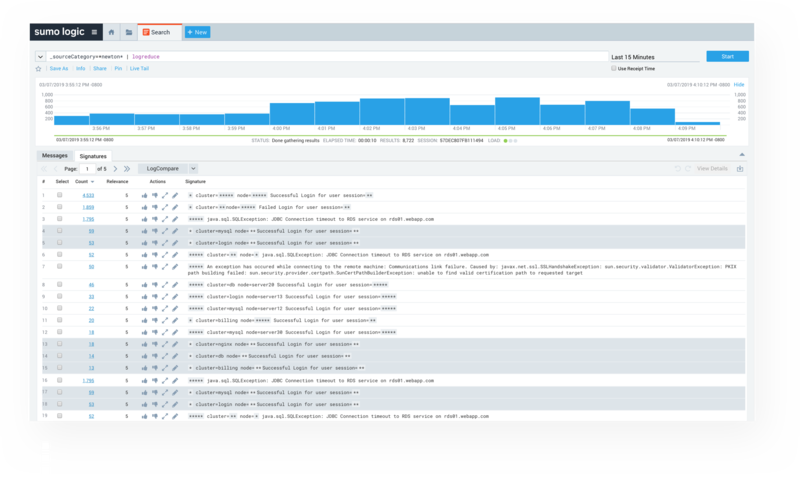 Identify critical AWS application problems proactively by easily correlating performance issues with errors and failures. Get to the root cause quickly with pattern detection using machine-learning. 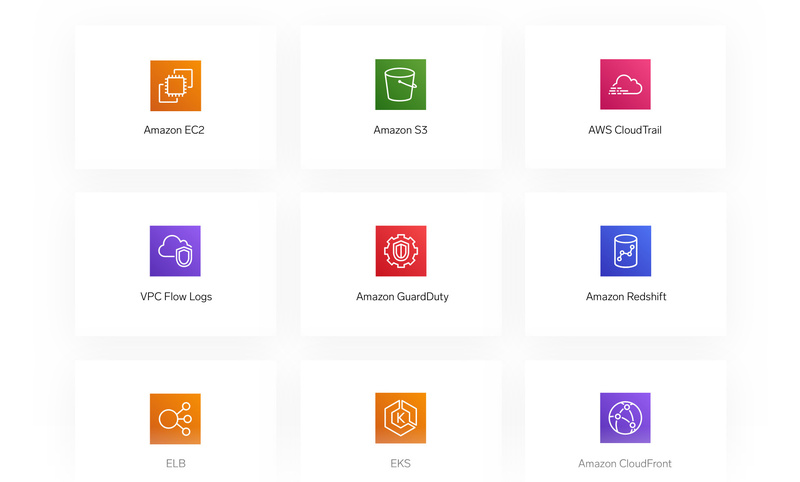 One click cloud-to-cloud collection, monitoring and out-of-the-box content for services like EC2, S3, CloudTrail, VPC Flow Logs, GuardDuty, Redshift, ELB, EKS, CloudFront and many more. 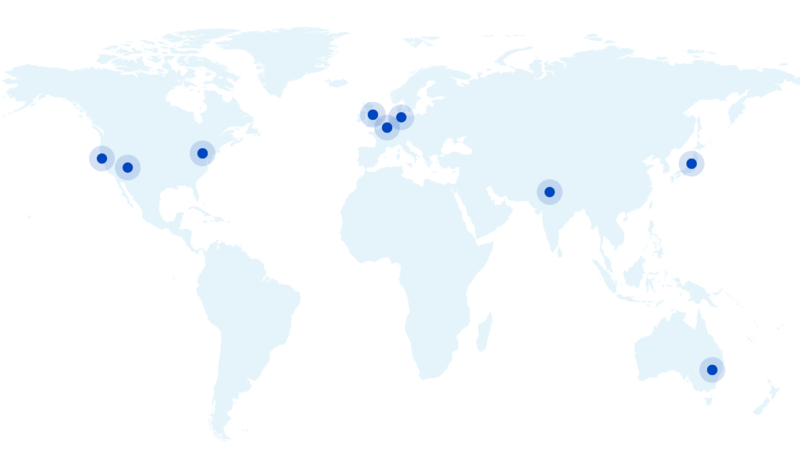 Satisfy local data sovereignty and privacy requirements with Sumo Logic’s worldwide deployments on AWS including Europe, Asia, and the U.S.
Migrate to AWS faster and with confidence with full support for AWS and on-premise on a single platform. 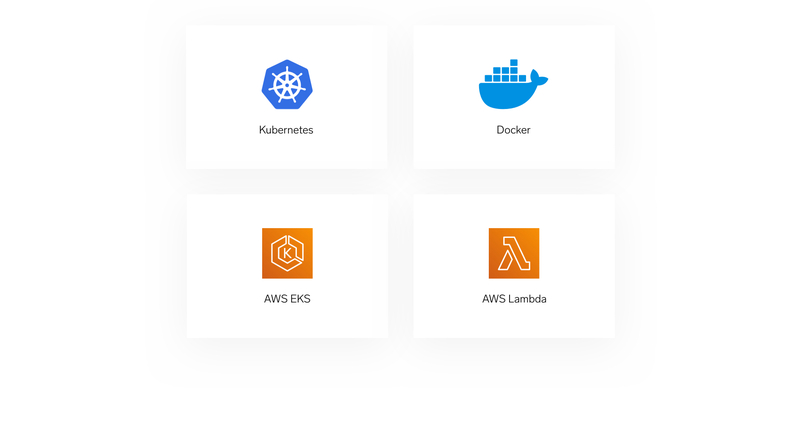 Adopt the latest microservices technologies with confidence using Sumo Logic’s native integrations for Kubernetes, Docker, AWS EKS, and AWS Lambda. Make better technology decisions using Sumo Logic’s real-time Modern App Report and benchmarking services based on thousands of customers’ anonymized data.